One of the best Fedora spins that have been for a while and also being well maintained is the Fedora Games. The Fedora Games spin is a great showcase of the best games available in the Fedora operating system. The games span across several genres, including first-person shooting, real-time and turn-based strategy games, and puzzle games. 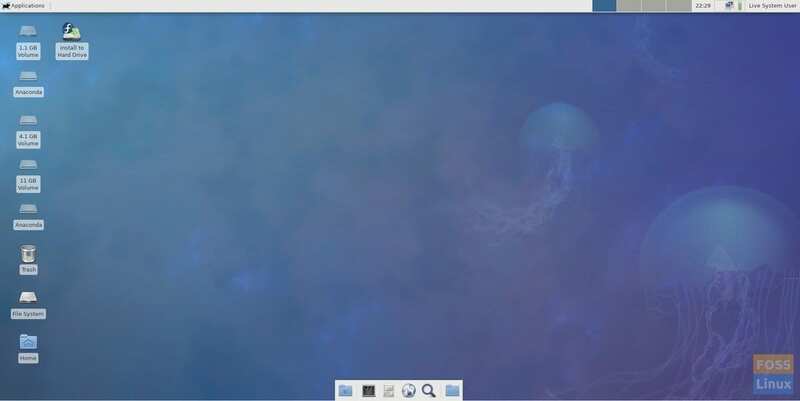 Fedora is a rock solid operating system, and so running games on it not only gives you good performance, but it is incredibly stable as well. 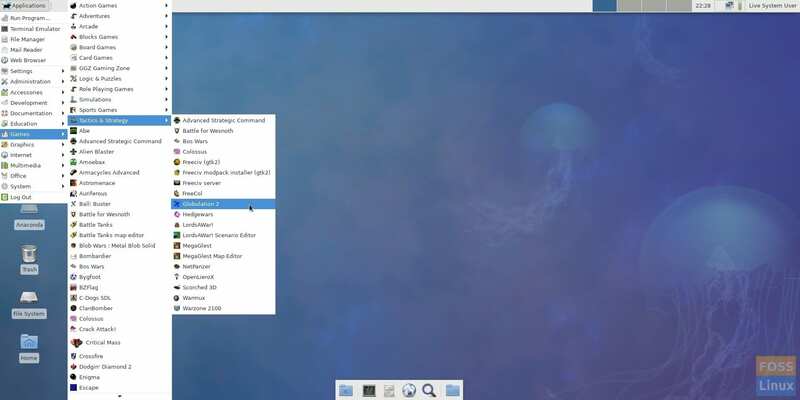 The best way to try it out yourself is to make a Fedora Games Live USB drive, and then run it on your computer, without modifying the system configuration. Fedora 27 Games spin includes a number of popular games including Battle for Wesnoth, FreeCiv, Scorched 3D, SuperTuxKart, and Nethack. If you are already running Fedora on your computer, half of the job is already done. 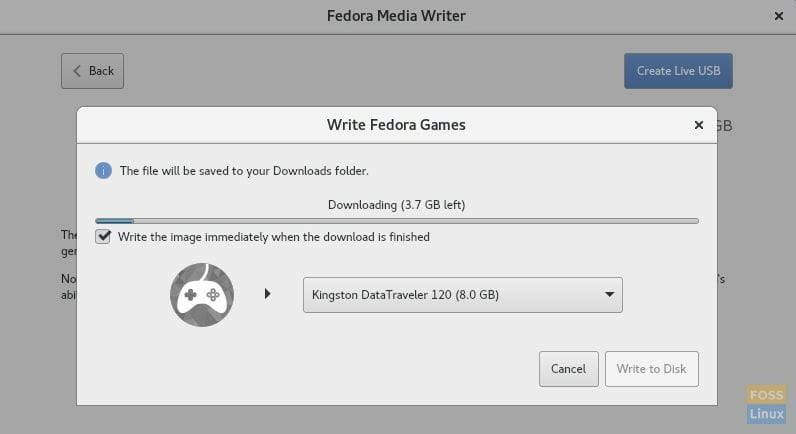 I recommend using Fedora Media Writer to create the Games Live USB drive. Step 1) Plug in a USB flash drive of minimum 6GB capacity. The flash drive will be erased completely and formatted during the process. Make sure the flash drive is mounted. 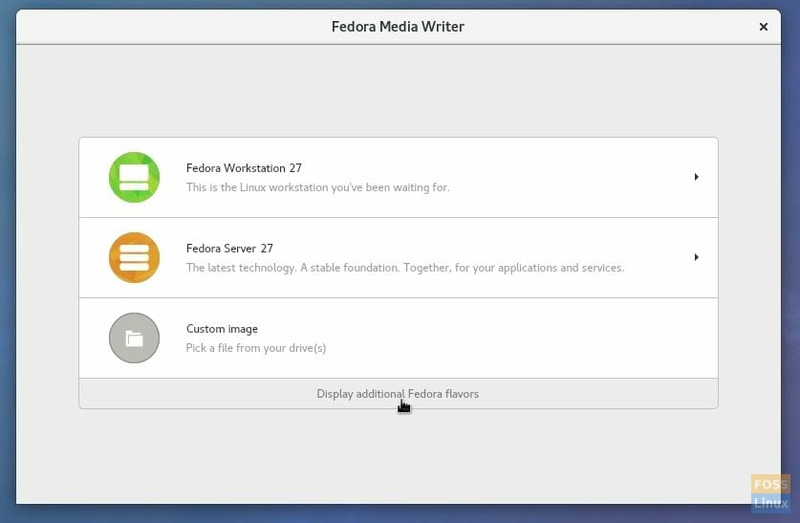 Step 4) Click on the icon that has 3 square dots to display additional Fedora flavors. 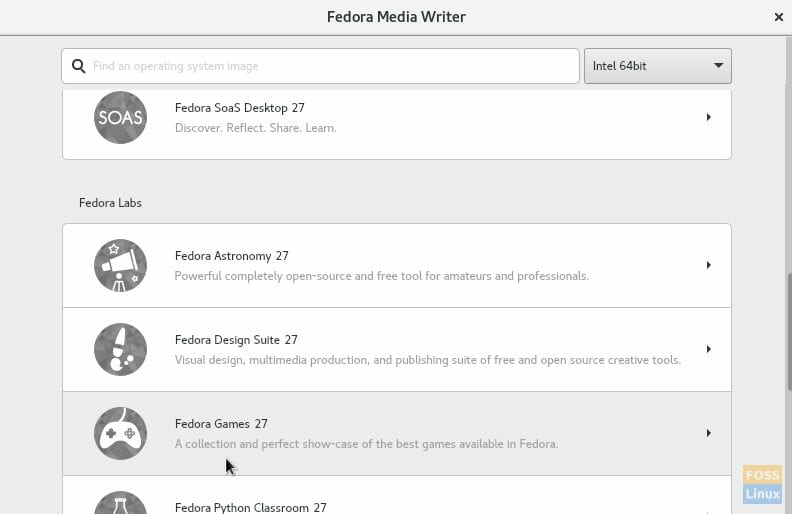 Step 5) Click “Fedora Games 27”. The version number may be different in your case depending on what build was used as the base at the time of your download. Step 6) Fedora will now download the Games ISO image. Check the box “Write the image immediately when the download is finished” and select the USB flash drive from the dropdown list. Enjoy a cup of coffee! Fedora will download and keep the live flash drive ready for you! Other Linux distro users can use “disks” utility to burn the ISO image to the USB drive. Step 2) Plug in a USB flash drive of minimum 6GB capacity. The flash drive will be erased completely and formatted during the process. Make sure the flash drive is mounted. Step 3) Launch Disks utility. If you don’t have it installed, you can download it from your Linux distro’s software center. Step 4) In the left pane of the disk’s interface, select the USB flash drive. Click on the tribar and select “Restore Disk Image”. Step 5) Click on the file folder icon. Then browse and select the Fedora Games ISO image. Click “Start Restoring”. That’s it! Your shiny Fedora Games Live USB is will be ready in few minutes. You can plug it into your PC and boot into it, and test drive Fedora Games. The same flash drive also serves as the installation media just in case you decided to install it.